Ms. Ang Tong Yin, Acting Dean for INTI Centre of Art & Design (first from right) and Ms Tan Ling Ling, Chief Executive of INTI International College Subang (fourth from right) with all the invited guests and speakers for the day posing for a group photo. 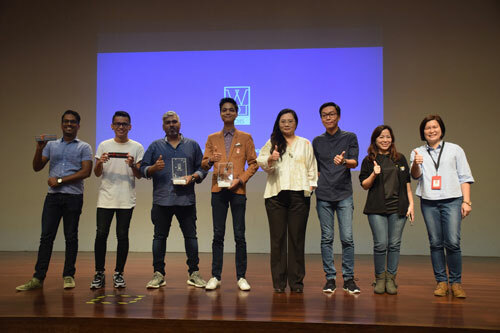 In conjunction with the worldwide celebration, INTI and BBDO Malaysia, one of Malaysia’s leading advertising agency collaborated to organise the ‘BBDO – U Mobile Sim Pack Design’ competition, which required ICAD students to present a newly revamped design for the Telco company. The theme was ‘Design in Action!’ which aimed to challenge students to identify the needs of the people within their local communities, and to develop innovative solutions by using design as the platform. “Innovative learning is a key part of INTI’s academic delivery. We believe our students are able to harness their skills and talents beyond the classroom through our collaboration with over 400 industry partners. 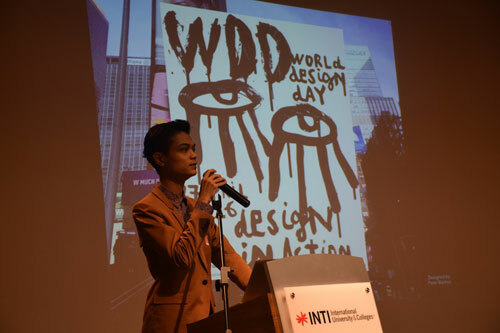 Celebrating an important occasion like the World Design Day as well as collaborating with industry partners like BBDO Malaysia is essential to help students enhance their experience prior to entering the workforce.” said Tan Ling Ling, the Chief Executive of INTI International College Subang. Mr Zachary Ong, the President Elect of International Council of Design during his opening address to the students. Yap Ai Le, second year Graphic Design student from Sheffield Hallam University was the winner of the ‘BBDO – U Mobile Sim Pack Design’ competition. Her winning design took into consideration the market trend for eco-innovation where environmentally-friendly products are increasingly in demand. “I am very pleased to be acknowledged for my design! I wanted to design a sim pack that is both eco-friendly and reusable for consumers. I hope I’ve achieved that with this design,” she said.